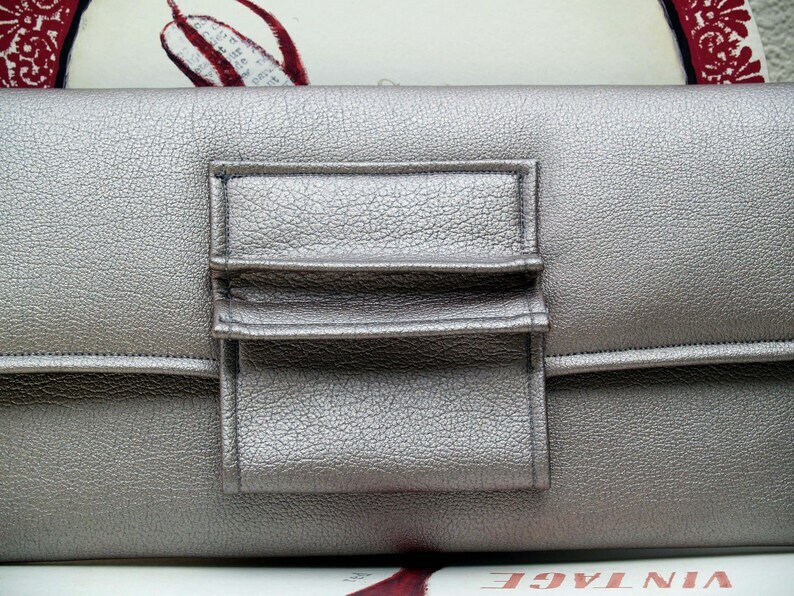 Lovely silver metallic envelope clutch handbag with a pleated tab on the flap. Made with metallic leatherette fabric, perfect for any occasion Bealutifully lined with one inside pocket and a magnetic metal closure. Measurements are: length 15-1/2", heigth 7-1/2". Divinely inspired.